NEW HOME WITH BUILDER'S 2-10 LIMITED WARRANTY! Are you looking for a ranch plan that still provides an open floorplan? If so, the Cali might be the home for you! 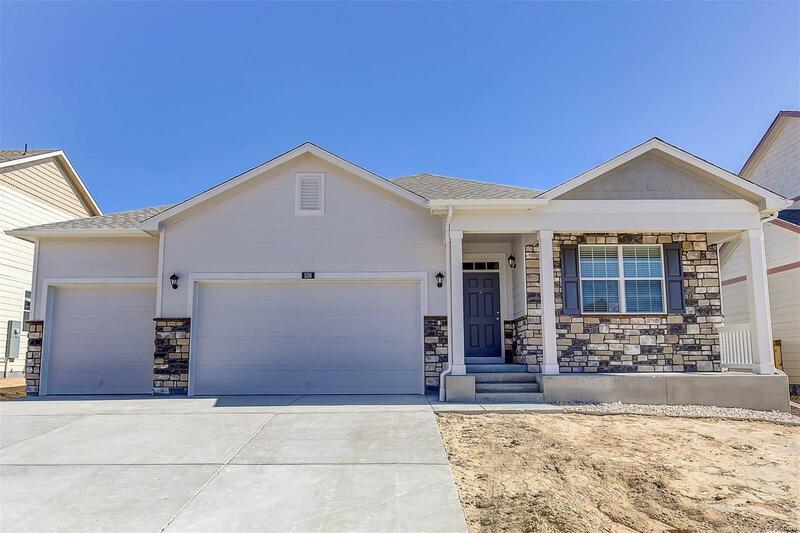 Along with the conveniences of buying a brand new home (like the awesome warranties), the home also includes air conditioning, window blinds, stainless steel appl, ivory cabinetry, granite countertops in the kitchen, hardwood flooring, a lot that backs to open space and so much more! If you love the outdoors, Crystal Valley Ranch should be at the top of your list. Our beautiful community has a clubhouse, community pool, fitness center, basketball & tennis courts, many parks, and miles of walking trails! This home is in the construction process, but we do have a Cali model available for you to see. With all of the incredible value that we are offering, our homes do not stay on the market long, so call today to schedule your personal tour. Photos are representative - not of actual home. Approximate delivery: Aug/Sept.